Beyond Kolwezi-Likasi-Kasumbalesa Line: Poverty & Inequality Isn’t Nearby? It is unfortunate that most of politicians and leaders in the Congolese political arena keep talking sketchy discussions on poverty and inequality while these characteristics are widely touchable all around. In addition, it remains also unclear if the slight discussion about poverty-inequality in DRC is based on lack of information as few censuses have been carried out since long ago. However, despite the fact of lacking detailed statistics, it is unlike that many people would ignore that ordinary people’s conditions needs close attention. Therefore, there is no need to travel miles away from Kinshasa to feel it clearly. Few weeks ago, the President of DRC reminded overcrowded trucks of minerals alongside Kolwezi-Likasi-Kasumbalesa line; while the majority of people strive over the basic needs. The president statement seemed signaling that these minerals, forming the backbone of DRC public resources are likely benefitting to other people than local ones. Even though the context of expressing this concern may raise different interpretation; clearly local people and ordinary citizens suffer more than it can be expressed within Medias or political fora. The concern went expressed when the President has been meeting Katanga’s dignitaries over an implicitly political row among dignitaries of the strong and mainly providing Province. He referred to what can be observed as controversial features when crossing the Kolwezi-Likasi-Kasumbalesa route. The controversy turns around to how local population, who would be benefitting from Katanga’s natural resources, has remained poorer for long. Though what the President expressed during the meeting rose questions due what was going on in Katanga, at least the public had kept his worry regarding poverty. Nonetheless, poverty-inequality in DRC is a feature that can be found in different places as well as at close-by to those who have the responsibility to establish mechanisms of distributing and redistributing national resources. An informed observer, who ever walked in rural areas, wouldn’t oppose the above statement. Obviously, there are some socio-economic conditions looking unbelievable and beyond conception. The same conditions are likely to happen within the neighborhood of urban centers; especially for the youth and women. People are still striving to satisfy basic needs; though the country is known to be potentially rich. Thus, we all have to question why all these messes as well as who doing what to get the situation solved? Whenever someone travels even in Kinshasa, the frustrating feature is the working conditions within which moms, dads, young people… are found. They seem displaying little hope of the future. It remains so hard to express how a mom of 70 years has every morning to rely on her capital of less than $50 from which she has to rent a house, provide the necessary for her family. The surrounding area in itself looks less promising as facilities had remained likely non-existent. While infrastructures have constituting the priority of public domain in other places; apparently, the context may sound as opposite within the Congolese context well long. 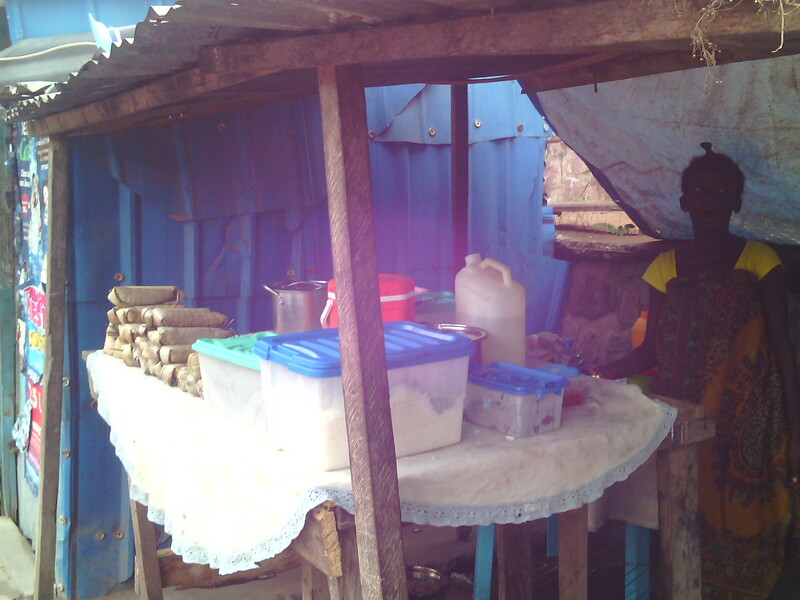 Since Mobutu’s dictatorship, little has been to establish basic infrastructures helping people to expand their businesses. 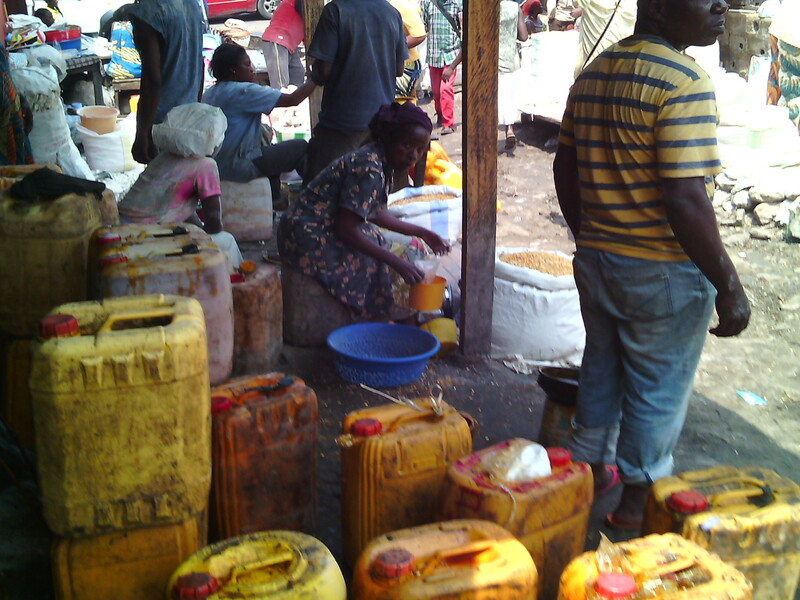 Most of these itinerant traders or “businesswomen/men” around Kinshasa streets are left on themselves. Most of these businesswomen/men wouldn’t ever get retired. They have to work until they fall on the scene of collecting whatever they can to survive. There hasn’t any form of social securities for these innocent people who would have lived as did others. They seem to ever have any public support such as market facilities and buildings where they can just shelter the hot sun of this city. In addition, they possibly hardly access financial facilities from banks or credit schemes. Some of these places of work can’t be dissociated with dustbins making life complicated of course. Nevertheless, they have to get regularly levied so that taxes paid would support their initiatives. However, the proportion between taxes paid and the allocation seems unbalanced. Therefore, the future of these moms as well as dads remains shadowed and dark; though they have always to provide to have their families surviving. The blogger thinks that poverty-inequality has been largely debated in different articles. Therefore, the aim of this article is simply reminding the reader, Congolese specifically that we still need to pay attention to the future of next generations. 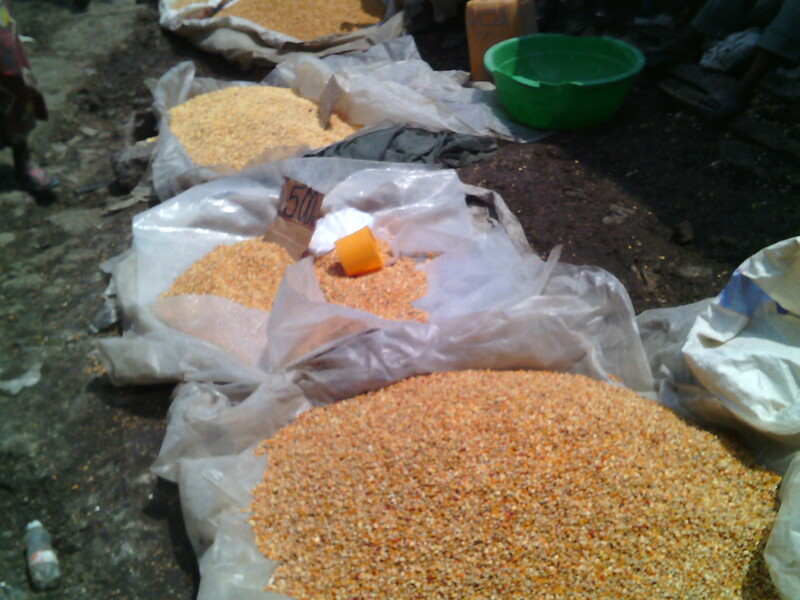 Nothing explains the status quo of having a great people such Congolese losing their lives due to poverty. Around 70% living under the poverty line! It is unconceivable that a half century after independence the country has strained within irresponsibility; making all of us blind in front of damages. Hence, can we voice again for a better treatment and responsible use of national resources. Meanwhile, we have to recognize that this is a strong and hardworking people who evolved with successes of surviving despite the absence of the state. I believe that different societies would have crashed if they had lived as did Congolese society. What is your point of view? Next PostNext Kinshasa-Kikwit : Comment Je Suis Devenu Suspect et Serez-Vous le Suivant?